VanLife Crisis: Could you survive, alone? 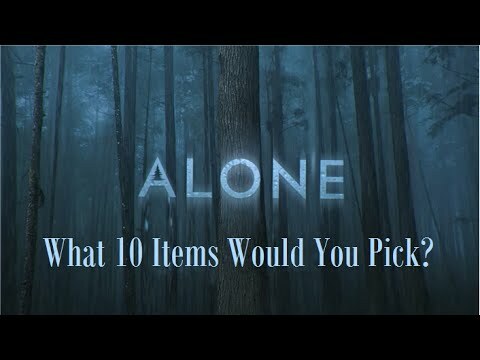 Lately I've had the opportunity to watch an interesting show called Alone. Its a reality style survival show, but a little different than the others. It takes ten people and sticks them on Vancouver Island....think rainforest, in the ocean, with more bears, wolves, and cougars than most places in the world. The people film themselves, and are seperated from each other, hence the title Alone. 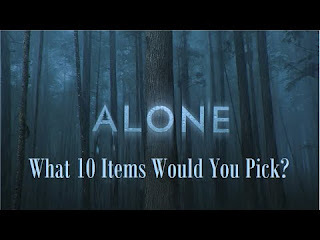 They can bring 10 items, get bear mace and a med kit, and a sat phone. Here is the kicker tho, they dont stay for 7 days like la stroud, or even 10 like ed stafford. Not 30. Its last man standing, they have to out last the others and so they dont know how long to plan for. Season one was like 50 days. Prize is half a million bucks. Anyway, it got me thinking about how i would do naturally, and my internal prognosis was not good lol. As a vandweller, i started out with a minmalist, prepper/self reliance bent. Im naturally inclined to being ok with most situations, but i have definitely strayed from those prepper roots. I started thinking, what if i lose my van, and the generosity of family? Am i becoming reliant on others again, too much? It bothers me, so im starting to get more into considering as a backup, sharping my primitive skills and preparing a one bag sort of scenario for myself. I realize too that the greatest asset you can have is your own healthy body. Im way out of shape, and i realized that if i had to hike a few miles now id be in trouble. So thats gonna get shaped up too.